Located at 251 and 261 Salmon Street, the two fully leased properties were sold in one line following a competitive EOI campaign, which drew more than 50 enquiries. Dawkins Occhiuto’s Andrew Dawkins and Walter Occhiuto, in conjunction with CBRE’s Matt Haddon and Chris O’Brien, handled the sale of the properties. The properties were acquired by the Altis real estate equity partnership (AREEP) series of funds, which now has over $750m of high quality industrial and commercial assets across Australia. Mr Dawkins said the properties represented an attractive investment opportunity for the new owner. “With a combined total site area of approximately 20,795sqm, situated on multiple titles, the properties offer a unique infill investment opportunity that proved to be a major drawcard for Altis,” Mr Dawkins said. The asset at 251 Salmon Street comprises a 4,307sqm, three-level art deco building featuring onsite parking for 243 vehicles. The asset at 261 Salmon Street encompasses a two-level art deco building providing a total lettable area of approximately 5,145sqm of office and warehouse space, as well as car parking facilities for 179 vehicles. Mr Haddon said the sale was evidence of growing demand for industrial property. “The strength of this sale highlights not only the substantial weight of capital seeking well leased industrial and business park assets at present, but also the considerable interest currently being generated in Port Melbourne as a result of the recent Capital City rezoning of the Fishermans Bend precinct,” Mr Haddon explained. “Port Melbourne is fast becoming one of the city’s most desirable commercial locations, and Altis’ foray into the local market is testament to this area’s growing investment profile," Mr Dawkins added. The two properties are securely leased to high calibre tenants including Victorian-based Boral Resources, JG King Building Group, Specialized Australia and GM Holden. Mr Haddon said that the properties also held scope for future redevelopment. 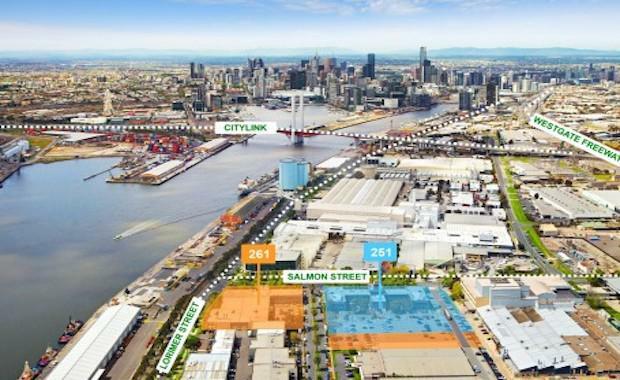 “These assets are not only strategically located to take advantage of the state government’s Fishermans Bend Urban Renewal Area plan, but they also offer redevelopment potential, which could add to the long term investment,” Mr Haddon said.